HELP Foundation operates residential, day support, and vocational job training for consumers in Cuyahoga, Lake, and Summit Counties. 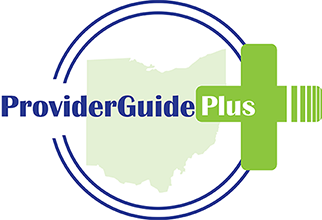 Day Support: HELP's Day Support programs are located in Euclid and Northfield. Both programs provide a full-day of supported, engaging activities that focus on skill development, socialization, community integration, and the individual needs of each consumer. Vocational Job Training: Vocational training programs employ adults in a variety of short and long term employment opportunities such as HELP U Shred where employees learn valuable workplace skills and behaviors while earning a competitive hourly wage and our Lakewood Vocational Training Center which focuses on food-service industry work readiness. Residential: HELP's 20 residential sites range from fully supported group homes with staff and asistance 24/7 to semi-independent apartments for consumers who have the necessary skills to live independently receiving drop-in services throughout the week. My brother has profound down syndrome. He is unable to speak, toilet and dress himself or express his needs. Every time I visit my brother at his group home apartment in Parma, he is clean and nicely dressed, calm and content. The staff stay for years, providing the stability of long-term relationships for my brother. Every weekend and more, when possible, they take him and his roommates on outings, to parks, for icecream, clothes shopping for them, the barber, nice restaurants like the Olive Garden, and they spend his allowance on him to give him a nice life. They're kind and gentle with him and they bother to learn of and respect his preferences. The only down side is they don't check phone messages and return calls. But one of them gave me her own cell number and she returns my calls.